Rype is one of the most powerful and efficient language tools out there. Rype focuses on three core components that make it one of the strongest options to learning a new language. First, Rype uses real-life immersion by having you learn directly from a language coach. This one on one interaction helps you learn the language in real-time. Next, Rype helps you win back time by giving you the freedom to schedule a 30 minute session anywhere in the world. You won't waste unnecessary time traveling to and from language schools and can schedule same-day lessons. Finally, Rype maintains a network of professional, pre-vetted, handpicked language teachers. They prioritize those individuals who exhibit great personalities, professionalism, experience and leadership qualities. Getting started with Rype is simple. First, choose your language and 1-2 teachers who best fit your personality and schedule. Deciding between a couple of teachers? Schedule one on one lessons with each of them to see who you work well with. Next, you can begin to schedule your regular one on one lessons. Once your teacher gets to know you and your learning goals, they will design a personalized learning plan just for you. This plan will keep you accountable, motivated and will have you speaking another language confidently in no time. Ready to get started? Sign up for your free trial today! Learners choose Rype because of the flexibility it offers. Not only does it accommodate busy schedules, but it's personalized to each learner: it takes into consideration each individual's personality and learning styles as well as learning goals. You are able to schedule a thirty-minute, one-on-one lesson from anywhere and at any time. Combined with a professional language coach, you'll be speaking another language in no time. Rype features success stories from many of its members and the advice is the same: choose a teacher that you can relate to and you'll want to talk to on a regular basis. 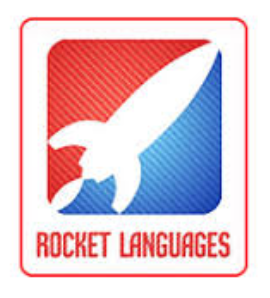 Thanks to Rype's expansive network of language coaches, you'll have many to choose from.